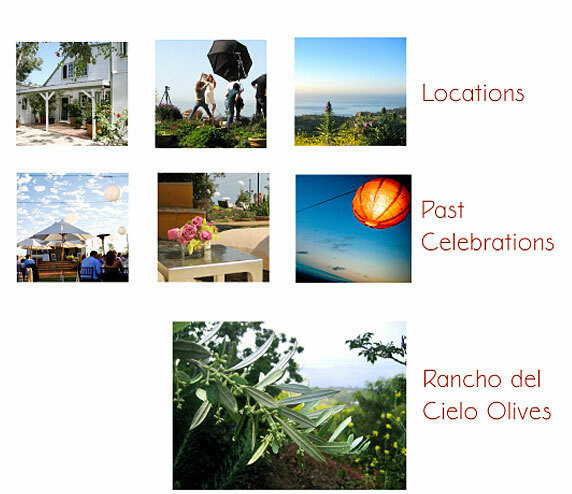 is located on the hills above Paradise Cove, with a spectacular ocean view, an acre of gardens, olive groves, oak trees, rustic trails and an old California cottage. We are an old California ranch house settled deep into a garden filled with roses, jasmine and lavender. We look out over the meadows to the ocean. By day we see the Channel Islands -- Santa Catalina, San Clemente, Santa Barbara and the distant blue hills of Rancho Palos Verdes. By night the moon and stars compete with the blazing necklace of lights around the Santa Monica Bay. The Santa Monica Mountains are at our backs -- wild rabbits come to our lawn at twilight and the deer graze on the hillside below us. Our sunsets are glorious and once a month (sometimes twice) we see the full moon rise up over the ocean just as the sun sets behind the shoulder of our hills. 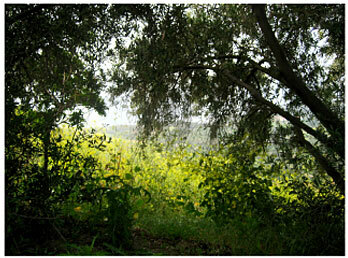 There are three miles of trails through the chaparral below the olive grove. 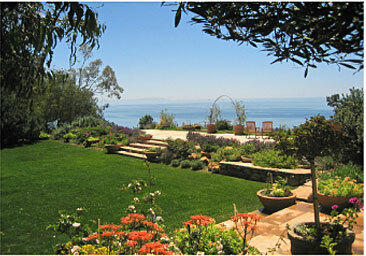 Our gardens have spacious lawns and quiet romantic corners, outdoor fireplaces and breathtaking views. Our ranch in the sky is a serene return to a simpler time, a living reminder of old California.